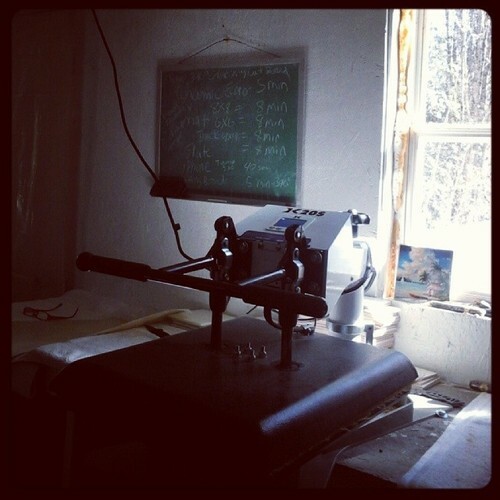 In case you've been wondering a bit about the tile printing process... meet the heat press! Also I revised the birch tree cutting board (more contrast!) and printed some up, photos to come.